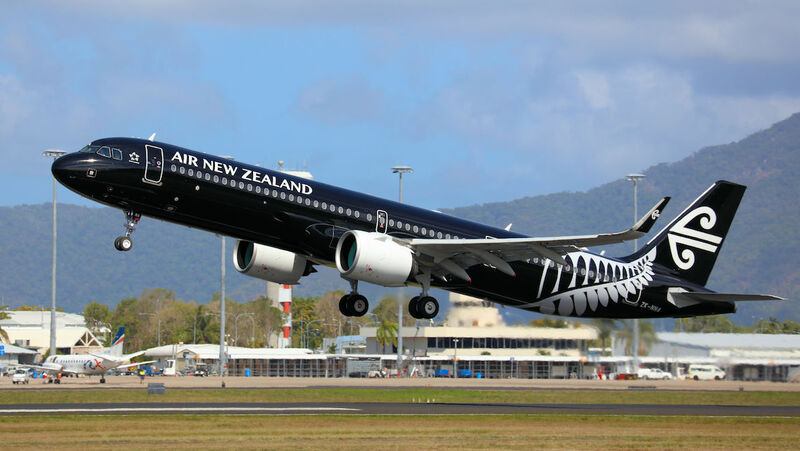 While Air New Zealand’s first Airbus A321neo is not due to enter commercial service until November 23 on the Auckland-Brisbane route, it has already been seen in Australian skies. 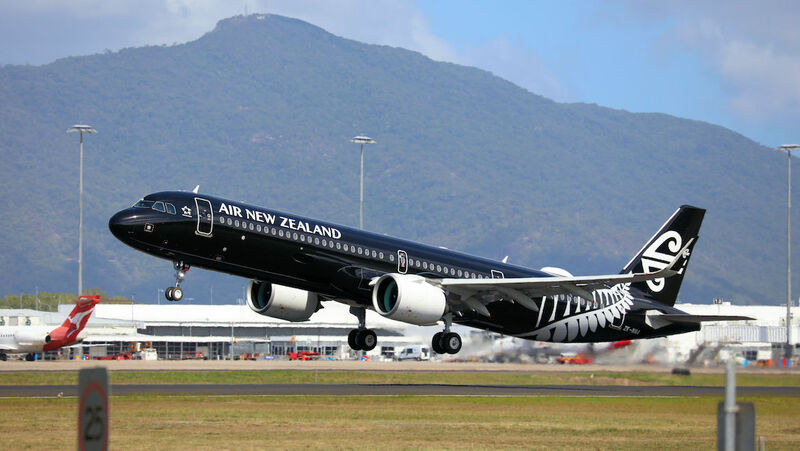 The aircraft, painted in the airline’s all-black livery and with registration ZK-NNA, arrived in Cairns on Sunday night (local time) as part of its delivery flight from Airbus’s Hamburg facility to Auckland. After an overnight on the ground, ZK-NNA took off as NZ6091 at about 1430 on Monday, as these photos from Andrew Belczacki show. The last leg of the aircraft’s delivery, which began on Wednesday and included stops in Muscat in Oman and Kuala Lumpur in Malaysia before landing in Cairns, took about four hours and 45 minutes, with ZK-NNA landing in Auckland just before 2230 local time. 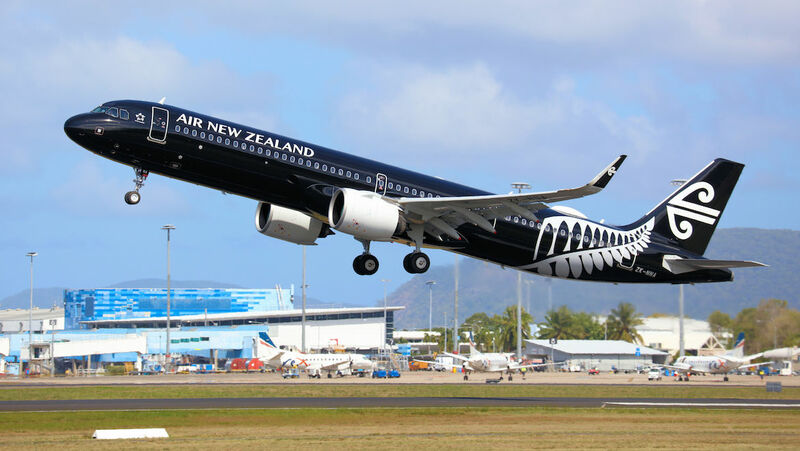 Air New Zealand has said previously it would begin commercial service with the A321neo on November 23, with the NZ739 from Auckland to Brisbane the inaugural flight. The aircraft is one of seven A321neos and six A320neos due to join the fleet between now and the end of 2019. The next-generation narrowbodies will replace current A320ceos and be deployed on its Australia and Pacific Islands network. The airline has chosen Pratt & Whitney PG1000G engines to power its A320neo and A321neo fleet. The A321neos have been configured to seat 214 passengers in a single-class layout, while the A320neos will have 165 seats. Air New Zealand will be the first airline in Oceania to have the A320neo family of aircraft. VIDEO: A look at final assembly of Air New Zealand’s first A321neo from the airline’s Youtube channel. An overused term but this aircraft type could be a ‘Game Changer’ for Air NZ. The A321 looks ideal for many of the regions specific demands. I thnk we’ll be seeing quite a few of these from different airlines in the future given the number on order.